Eurogrand is a fairly old casino that was founded in 2006. After being managed by Crown Solutions for about seven years, it was sold to the William Hill group in 2012. Currently, Eurogrand is managed by WHG International. Although the flagship casino of the group is still William Hill, Eurogrand has a loyal user base, and it is fairly popular. Eurogrand casino uses the Gibraltar license, but the group it is affiliated with has both Malta and United Kingdom Gambling Commission licenses. In other words, there is no problem with security and reliability. Although it is a casino of about 12 years, user complaints are very few and almost every member is satisfied with the service quality. Eurogrand also secures members’ personal and financial information with 128-bit SSL encryption provided by GeoTrust. Eurogrand is a Playtech casino, so it only offers the games of this provider. In total, you can find about 200 games. More than half of them are made up of slot machines. Games have instant play support, but download Eurogrand option is also offered. So if you download the program, you can access the games without having to use the website. Unfortunately, mobile support for the game collection is rather limited. Only Playtech games developed over the last few years are working seamlessly on mobile devices. You need to use the Android operating system to play a large part of the collection. iOS devices (iPhone – iPad) do not support many games, including roulette. There are a total of 19 roulette games, and only two of them can be played against real dealers. Unfortunately, it is not possible to try the games free of charge. However, it is possible to find many different variants of roulette. We will discuss this topic in more detail below. Currency: Eurogrand casino supports six different currencies, and if you don’t choose correctly, you may experience a financial loss due to exchange rates. After activating your membership by clicking on the link in the email; you can deposit money, withdraw money, and manage your bonuses via your account page. 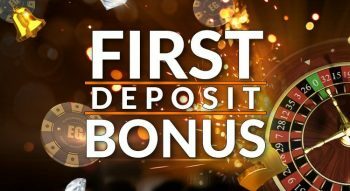 Deposit Method Bonus: You can earn bonuses at varying odds, depending on your preferred payment method. Weekly Bonus: You can earn different sets of bonuses for the game of the day. It may be table games, poker, roulette tables, etc. Read the casino news carefully, so you won’t miss the best UK promotions. You can use any of the following methods to make deposits and withdrawals to the casino: Neteller, PayPal, Neteller, Paysafecard, Skrill, EcoPayz, Instadebit, WebMoney, Bank Transfer, Credit Card, and Entropay. There is no withdrawal limit, but the process takes about 4 days to complete. In terms of minimum limits, no information is given. In addition to the French, European, and American variants, interesting options such as “Penny Roulette” and “Pinball Roulette” are also available. We especially recommend you to try “Frankie Dettori’s Jackpot Roulette”. While the number of live dealer games is few, the other options offer a wide variety of exciting alternatives. The RTP rate of the games is not declared but is regularly checked by TST Labs. Two roulette games offer progressive jackpots, and both have a prize pool approaching half a million pounds. There is no Eurogrand casino roulette trick, but you can find options for every budget. Eurogrand is a kind of casino that old-school players will enjoy. Despite working with a single provider, it can deliver satisfying content. We can say that the variety of roulette games is quite successful. Various game options can appeal to every budget and every liking. 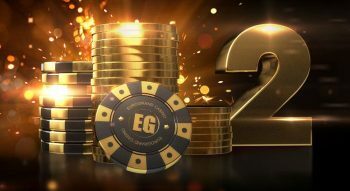 There is no problem other than limited mobile support: Roulette players can easily choose Eurogrand. 40x wagering requirements on your bonus amount. 40x wagering requirements on bonus spin winnings. Embrace the luck of the Irish with this Paddy's Day Deal. 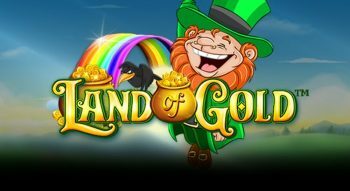 Stake €10 today on our popular Irish slot Land Of Gold, and receive 15 Bonus Spins.